Metro Bank's first customers speak Jump to media player The first High Street bank to launch in the UK for more than 100 years has opened its first branch in Holborn in London. New bank to have extended hours Jump to media player The first High Street bank to launch in the UK for more than 100 years is promising longer opening hours for its customers. The first High Street bank to launch in the UK for more than 100 years has opened its first branch in Holborn in London. 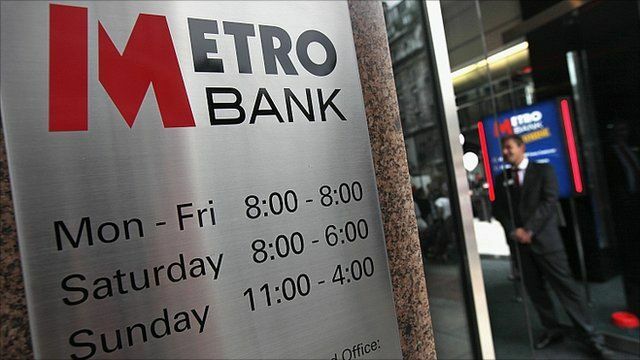 Metro Bank says it will emphasise good customer service, including long opening hours seven days a week. The bank will open 10 more stores in the next two years, and aims to have more than 200 in Greater London within ten years. 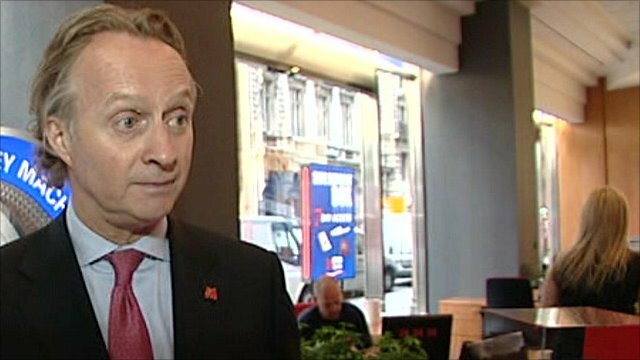 The BBC's Simon Jack spoke to some of Metro Bank's new customers.